Ascension Granite & Marble LLC was formed under the Gonzales family business Gonzales Interiors. Gonzales Interiors was opened in 1972 by Charles Gonzales as a full service interior company. Charles Gonzales retired in 1998 and his two sons, Chris and Evan Gonzales, took ownership of the company. In 2002, the granite and solid surface countertop business caught the attention of Evan Gonzales. The 22 years of Gonzales Interiors’ experience enabled Evan to expand the business in the stone industry. He began fabricating sold slab granite and opened Ascension Granite & Marble LLC in 2003. 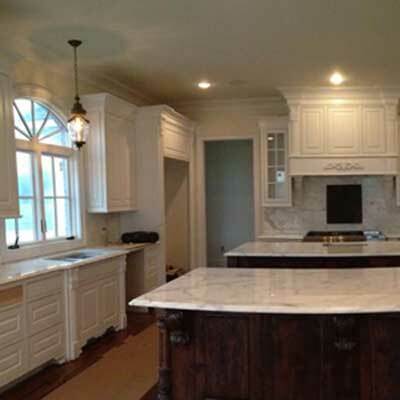 Gonzales Interiors evolved into Ascension Granite & Marble LLC with the goal of becoming the best stone fabrication and installation available. Ascension Granite & Marble LLC operates two Denver CNC machines that produce an unmatched quality of fabrication. In addition, Ascension Granite & Marble LLC owns a Flow water jet which offers detailed design for any stone need. For example, inlay work for your stone entrance or that perfect back splash with unlimited options. With over 30 years experience, Ascension Granite & Marble LLC vows to provide the highest quality product and make our customers the number one priority. Thank you for your interest in Ascension Granite & Marble LLC.